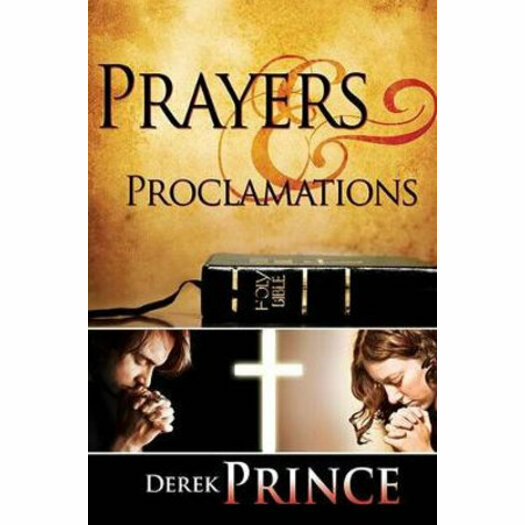 In this newly expanded edition are some of the hidden "treasures" that best-selling author and Bible teacher Derek Prince and his wife discovered in the Bible that bought life-changing results into their lives. These power-filled Scriptures upheld them when under pressure, strengthened them when weak, brought them healing when sick, and guidance when perplexed. Above all, they enabled them to build up their faith and walk in victory. You, too, can proclaim the Word of God and experience dynamic changes in your life! Internationally recognized as a Bible scholar and spiritual patriarch, Derek Prince (1915-2003) was educated as a scholar of classical languages at Eton College and Cambridge University in England, and later at Hebrew University in Israel. While serving with the British army in World War II, he began to study the Bible as a philosophical work and, as a result, experienced a life-changing encounter with Jesus Christ. Derek Prince taught and ministered on six continents for more than sixty years, imparting God's revealed truth, praying for the sick and afflicted, and sharing his prophetic insights into world events in the light of Scripture. He wrote over fifty books, which have been translated in over sixty languages and distributed worldwide. He pioneered teaching on such groundbreaking themes as generational curses, the biblical significance of Israel, and demonology. Derek Prince Ministries, with its international headquarters in Charlotte, North Carolina, carries on the good work that God began in and through him by distributing his teachings and by training missionaries, church leaders, and congregations through its worldwide network of offices.